As the familiar saying goes, “you never forget your first”, and when it comes to Transformers, my “firsts” were definitely very memorable. My dad brought home three shiney new robots from that trip. The first one was the evil Decepticon leader himself, Megatron. The second was even more mind blowing, since it was a brand new character I had never heard of til that point, the Autobot Air Guardian Jetfire. And the third was Bluestreak. 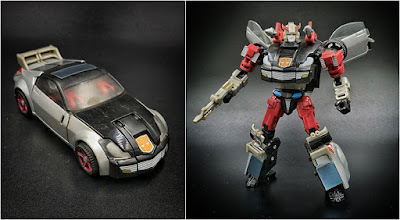 Now Bluestreak was one of the original eleven Autobot “deluxe” car robots released during the first year of the toy line. Being “one of eleven” already put Bluestreak at a disadvantage for standing out from the rest. To add to his troubles, he wasn’t even unique as he shared the same toy mold with another original eleven character, Prowl, who sported an arguably flashier police car design. 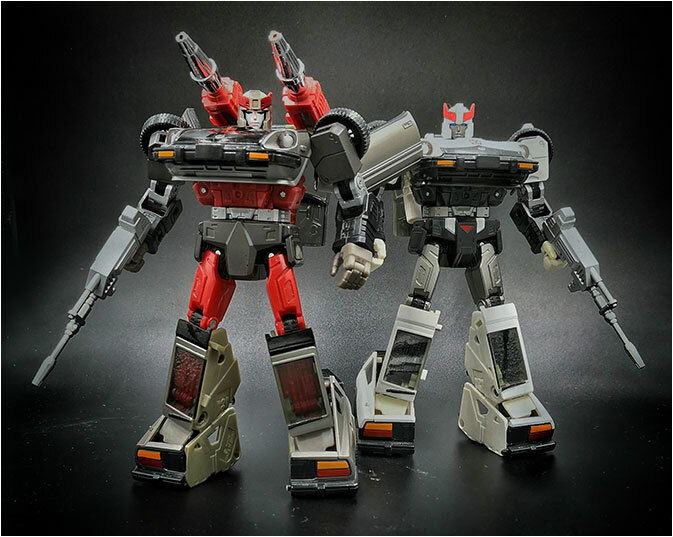 Don’t get me wrong though, at that point, I was happy to get ANY Transformer toy, but standing next to Megatron & Jetfire, it was a little harder to get just as excited over Bluestreak, he seemed more like a bonus throw in, the icing on the cake. In the original cartoon, Bluestreak didn’t fare that much better as he was hardly featured at all. To be fair though, the writers had to introduce 20 plus new characters over the course of the first season so it was inevitable that only a few major personalities would emerge while other would simply be relegated to one off scenes and eventually just background characters. 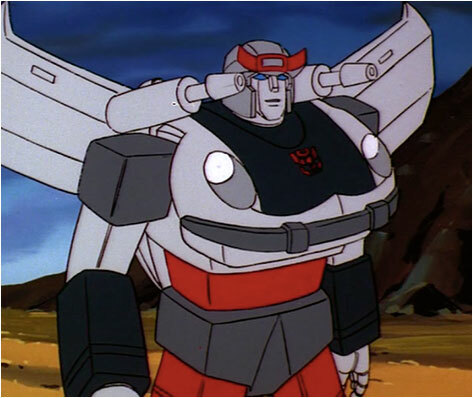 One thing worth mentioning though was that Bluestreak was voiced by the legendary Casey Kasem. Unfortunately even this bright spot in Bluestreak’s resume would turn sour when his character was ultimately retired from the series when Mr. Kasem suddenly left the cartoon over some negative racial issues. 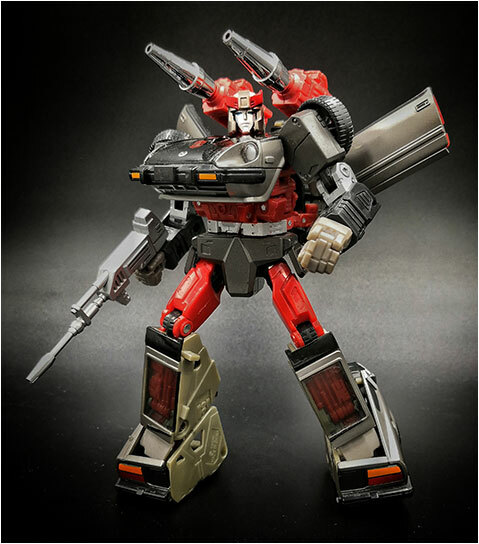 If you wanted to get to know who Bluestreak was, you would have to turn to his original tech specs profile that came with the toy. It’s not much but it gives you a good idea about what the guy is all about and has provided a solid jumping point for future writers to expand on his story. According to his expanded profile, Bluestreak’s main characteristic is that he is a blabbermouth, he never stops talking. He talks and talks over anything and everything under the sun. Most dismiss him as a fool who just doesn’t know when to shut up, or someone who is just enamored by the sound of his own voice. But for his comrades who know him better, they know that his constant prattling is his way of dealing with a deeper pain of loss he has experienced in the past. 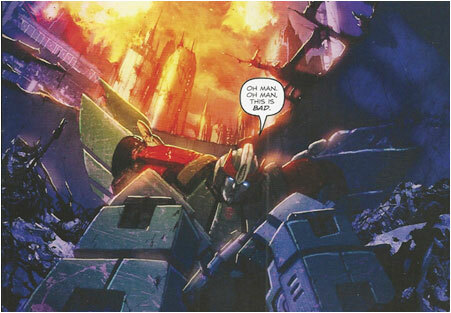 He is haunted by memory of the Decepticons destroying his home-city on Cybertron at the start of the great war. Bluestreak was the sole survivor which apparently wasn’t by chance. 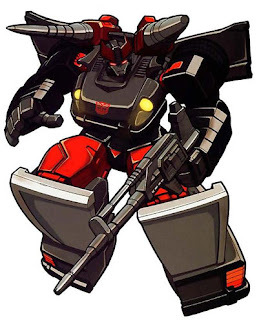 His survival was a deliberate act by Megatron who wanted someone to witness the destructive powers of his Decepticon forces and spread his message of terror to the rest of the planet. His fellow Autobot Hound says it best; "There's some demons runnin' loose inside that boy, and sometimes I think they grab hold of him and won't let him go." Talk is cheap, but it keeps him sane. 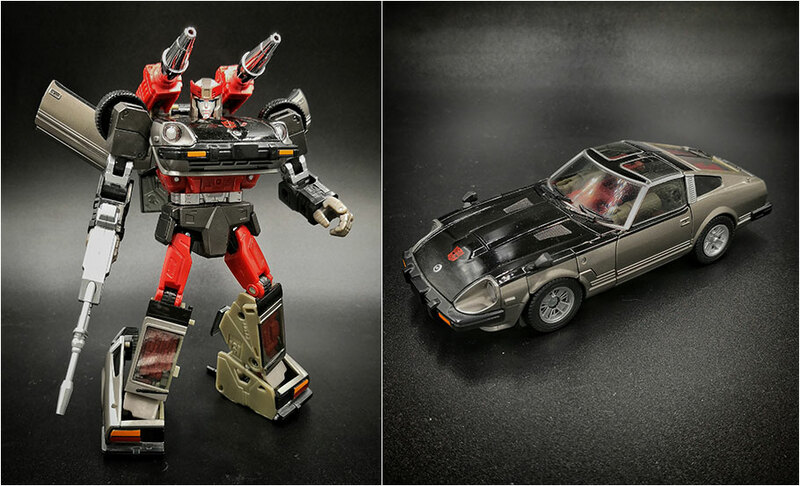 Anyway despite being one of the least featured characters from the original line, Bluestreak’s toy itself has quite an interesting story. 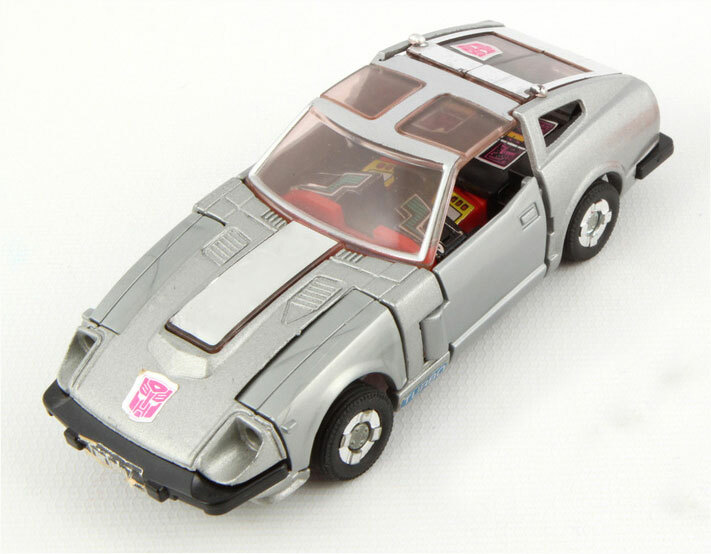 Despite being called BLUE streak, his original toy is predominantly silver and black with some red accents, with hardly any hints of blue at all. 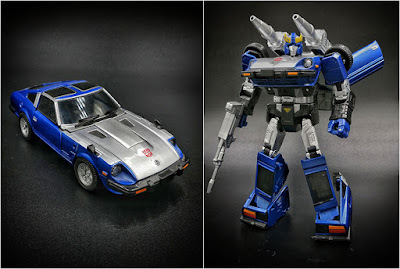 While it’s mostly speculation on my part, the most likely reason he was called Bluestreak was that the original Diaclone toy that he was based on was predominantly blue. Adding to the confusion is the fact that the the box art , instructions and product catalogue that came with the original toy showed a BLUE Bluestreak. This led people to believe that Hasbro’s original plan was to keep the Diaclone version’s original blue deco and that initial releases of the toy were indeed blue. This is one of those popular Transformers vintage collector’s “myths” that somewhere out there there are actually a few legit “blue” Bluestreaks in existence. The truth though is that Hasbro never released one and the blue toy in the instructions and catalog were really just an old Diaclone version of the toy. 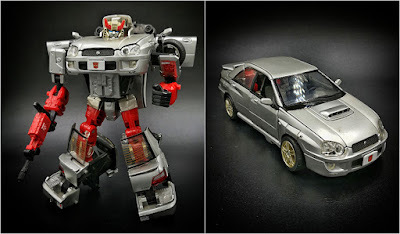 Sometime in the early 2000’s Hasbro did try to set things straight by renaming Bluestreak to Silverstreak for modern toy releases and vintage reissues ...but that just didn’t really stick. 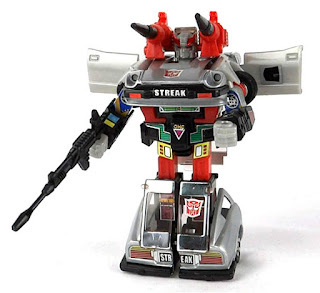 I’m not quite sure but they may have also lost the copyright to the name “bluestreak” at some point and eventually got it back because pretty soon he was back to being called Bluestreak. At times they even went as far as occasionally releasing official blue Bluestreaks as a homage to the original myth. 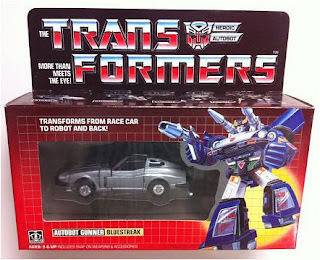 While a “blue” Bluestreak does make more sense, personally I prefer his classic silver and black color. So I’d just like to end with a quick story about my daughter Cecilia who as of time of this post is on the verge of turning three. 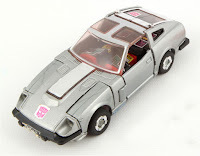 Anyway unlike myself and my wife who are more quiet and introverted, for some reason, our daughter is quite the motormouth, just like Bluestreak. Case in point, a few weeks ago, when we went on a family trip to Singapore; from the time at home waiting for the taxi (which never arrived), to the ride to the airport (through traffic), the whole airport process of checking in and going through immigration, through the three plus hour flight, and the airport in Singapore she never stopped talking. She FINALLY fell asleep in the taxi. I’d imagine that would be what travelling with Bluestreak to be like. Anyway, despite the fact that he was more of a periphery character at best, and while it’s true he was completely outshined by Megatron and Jetfire on that day my dad came home, Bluestreak was still one of my very first Transformers toys. And for that reason alone, he will always have a special place in my collection.